There are some media reports that Real Madrid forward Gareth Bale might be sold during the summer. The player has missed a couple of high profile games for the Spanish side this season and this might be an indication that Real Madrid is looking to play without him in the future. The player has recently missed the game against Malaga despite being fit to play. When asked about the absence of Gareth Bale on the pitch, the Real Madrid coach Zinedine Zidane said that the player was simply rested ahead of some important games in the future. Rangers legend Ally McCoist believes Paul Pogba could pursue a potential move to Real Madrid at the end of the current campaign. The France international has looked far off from the player he was at former club Juventus, with Manchester United boss Jose Mourinho reluctant to play him in a three-man midfield. WHY IS ZINEDINE ZIDANE NOT PRAISED AS MUCH? Real Madrid ex-player turned manager Zinedine Zidane has been impressive as the club’s coach since taking over. The Spanish side are currently on a 31-game unbeaten streak in all competitions, aside winning the Champions League and UEFA Super Cup – by thrashing Sevilla, Europa League winner – and sitting top of the La Liga table, yet Zidane’s praises are not being sung. 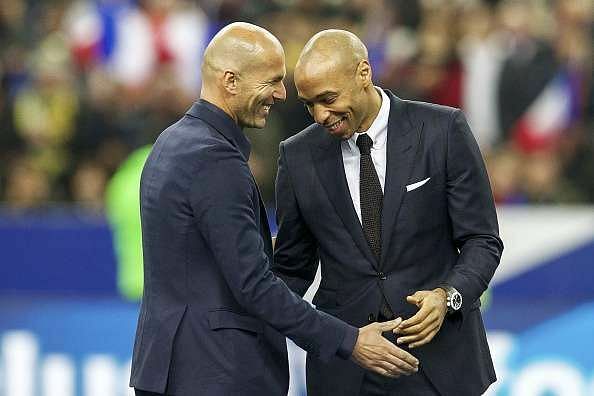 Read more about WHY IS ZINEDINE ZIDANE NOT PRAISED AS MUCH? Real Madrid manager Zinedine Zidane has asked fans to be patient with Cristiano Ronaldo. The player sustained an injury in the final game of the Euros and had yet to recover. The player will not be ready for the first game of the season, and Zidane has said that he should be given time.